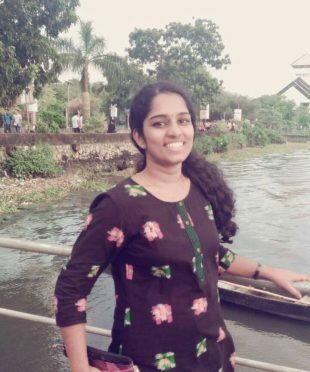 About the Author: Geethu S Mohan, a student of Amrita School of Business, talks about her internship experience at RBI and shares some insightful details. I was eagerly looking forward to the summer internship season to get my first corporate experience. One fine November morning, the placement coordinator informed us about RBI’s summer internship program. I had always wanted to work at RBI, and so I quickly filled in all the details – my past projects, hobbies, academic achievements, and the projects that I would have liked to do if I were selected. After two weeks, we received an email from the HRMD division of RBI – I was the only student from my college who was shortlisted for the interview. With a lot of encouragement from my faculty, friends, and family, I entered RBI’s office determined to clear the interview. After two security checks, I entered a training hall and waited with a few other candidates who were shortlisted for the interviews. I realized that I was the only girl amongst all of them. The centralised air conditioner in the room was a discomfort but then the coffee and other delicacies were a relief. I was called in first for the interview. A panel of three interviewers (general managers (GMs) of different departments) took my interview. The 1st interviewer asked me questions regarding big data, the relevance and future scope of data analytics, and some examples for the same. The second interviewer asked me questions on accounting concepts and their applications in the real-time situations. The third interviewer asked me questions about the projects that I had undertaken during my undergraduate studies, the reasons for selection of those specific topics, why I chose RBI for interning, and the project that I would like to do at RBI. I talked about the main project that I had done for comparative analysis of insurance provided by public and private insurance companies to determine which ones adhered to customer preferences and satisfied the customers. In the end, a real-time situation was provided – I was asked if I was the CFO of a company, what factors I would consider before investing in another company. The interview went well and I was optimistic about the results. I was entitled to do the project at the department of banking supervision (DBS). Unlike HRMD, people there seemed very busy. I had a brief meeting with the general manager of the department who promised me a guide, for my project. I was assigned a decent place amidst other staff, and I started researching about my topic on the internet. I did a background study about the various aspects that I would have to work on, to have a sketch of what I would do so that I could meet my guide with ideas. After two days, I was assigned a guide who was working as the assistant manager at DBS. He always had a pile of files on his table and, like his fellow colleagues, was very busy; however, he did find time to guide me with my work and I made it a point not to bother him much. The project had two-tier reporting system – I had to make propositions, sketches, and drafts. Next, I had to get approval from my guide, and later from the GM. A pre-survey was conducted, and based on that three banks i.e. Federal bank, Kerala Gramin bank, and South Indian bank were selected for conducting the survey and further studies. A general study was done with regard to the various digital banking products offered by the banks. A structured questionnaire was prepared to get customer responses regarding their satisfaction levels. The comparison of digital banking products was done on the basis of a common parameter i.e. service quality. It included variables like reliability, efficiency, ease of use, security, and responsiveness on the usage of digital banking products. I visited the branches of these banks to collect responses and SPSS software was used to analyse the data and reach results. For secondary data, I had to visit the head office branches or email them about the project, remind them about the requirements, and finally, thank them all for their cooperation. It was all a new experience for me and it felt good. With each passing day, my confidence was improving. I did get the opportunity to mingle with many higher-level officers, who were very humble and kind enough to share their experiences at RBI over years. In between, I also got the opportunity to attend a set of seminars on topics like NPA’s, corporate governance, etc. which were really productive. Internship with RBI was indeed a great exposure. I stood in front of ATMs to collect information for my questionnaire and it was a memorable experience. At the end of two and a half months, I made my final presentation in the conference room and my conclusions were well accepted and my work was appreciated. As I bid farewell to RBI, I could see my transformed version – a new me with a lot of confidence and positive outlook, all set to face the corporate world. RBI also provided me with new friends and memories to cherish throughout my life. Motivated by Geethu’s endeavors? Apply to these cool management internships and get ready for the corporate exposure. Found your article very interesting and your journey throughout the interview. Internship with RBI was indeed a great exposure. Good going and all the very best for your future. Could you please share your internship report/analysis ? if it is allowed?